By going to the gym consistently, you can really reap the benefits of each session, both mentally and physically. In fact, consistency is one of the most important factors in your fitness journey. It will help you hit your fitness goals faster while keeping your motivation and endurance high. However, we know that it can be difficult keeping to a regular routine. Luckily, we have one easy solution to help with this – a workout scheduler. Just think about any skill that you wish to develop such as learning how to play an instrument or similar. How often do you practice? How often should you practice? You won’t get very far if you only pick up the guitar and head to your lessons irregularly. There is a common misconception that you can try to catch up on lost time. For example, if you haven’t had a lesson in 3 months and try to catch up by going 5 days in a row. The sporadic sessions won’t help you get any better and in fact, can be detrimental to your progress. The same goes for your fitness goals. You need to work out consistently to achieve your long term results. Without putting in the effort, you will take much longer to hit your fitness goals. This is because your training, endurance and motivation will constantly fluctuate. Ultimately, this will be your downfall and you will not get the results you want, at least not in a reasonable time frame. You will not be able to use the skills or improvements you made in your previous session because by then, you may have lost that progress you gained by your next workout. With consistent workouts, this will be an obstacle that you can avoid. You will be able to continuously improve and add to your next session to hit your fitness goals and make valuable progress. This will maximize your results. Another reason why you need consistent workouts is that it will help you plan efficient workouts. A workout scheduler will tell you what to do each session. This eliminates the problem of just randomly heading to the gym one day and doing whatever comes to your mind. This means that every workout actually contributes to you hitting your fitness goals. You won’t be just working out for the sake of working out. Not only will this assist you in keeping to a regular fitness schedule but you will be making real progress. Each workout will have a purpose. Each workout will have a purpose. Consistent workouts help you to establish a routine, and a workout scheduler is what helps you to do this. You will have a higher chance of sticking to this habitual activity by having regular session penciled into your everyday life. A workout scheduler can help you keep disciplined with your fitness. Make time to fit in your workouts as if they were an important meeting appointment in your calendar. Eventually, by making the effort to stick to your workouts regularly, it will become a habit in your lifestyle and you will have developed this discipline to make sure that you go. Another important aspect on how to keep your workouts consistent is to also schedule in rest days. These rest days will help to give your body enough time to recover to get back to your next session completely motivated and energized. Personalize your own exercises that suit your fitness goals and help you reach them with a workout scheduler. With a customizable gym workout planner, you can choose the exercises that best suit your needs. As it is specific to you, you can also adjust the workouts as necessary. This will factor in helping you keep to consistent workouts because it will assist in planning workouts that you can regularly stick to. Consistency is an important factor in fitness. By keeping to regular sessions, you will be able to uphold your high endurance and motivation. It may take some time to get into that habitual routine but once you do, with the help of a workout scheduler, you will be on “auto-pilot” in which your workouts will become an integral part of your life, helping you make valuable progress every time. Jefit is a gym workout app that helps all gym goers and athletes plan and stick to their workouts on a regular basis. 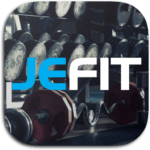 With a workout scheduler and customizable gym workout planner like Jefit on your side, you will be able to keep to your workouts consistently that will take you one step closer to hitting your fitness goals. With Jefit, you will be able to make progress and share it with the community. How do you manage to keep to consistent workouts? How has a workout scheduler and planner helped you? Let us know in the comments below!